Our taste buds are evolving at a fast pace — to the point that in order to retain as many of their once loyal beer drinkers, large breweries such as Molson, Labatt and even Big Rock have had to expand their product portfolio, test out new flavours and styles of beer, and even bring out products that aren’t even beer at all. 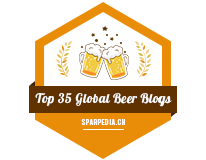 In Canada, cider is slowly gaining drinkers and various breweries are starting to catch on. Big Rock’s Rock Creek Dry Cider is among one of the first big cider brands to be brewed in Canada, and to this very day it’s one of the most popular ciders in the country. 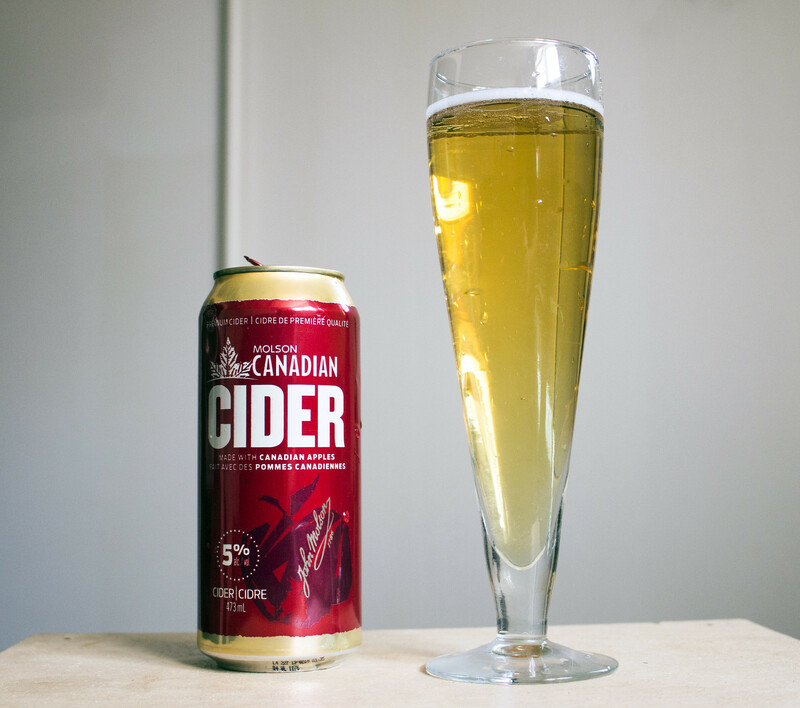 Molson brought out Molson Canadian Cider last autumn, when cider demand tends to be at its peak and it appears that the product is here to stay. I’ve seen several Molson products come and go (Molson Kick, Molson M, Molson Canadian Wheat) over the years due to lack of interest but cider is a beverage that I can only see becoming more popular over time. 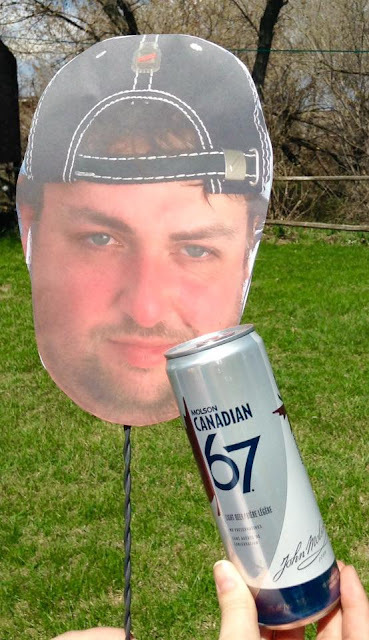 I don’t usually review Molson products because hey.. everyone has tried them. I like to be fair and since this is a newish product that I haven’t even tried before, I’m as intrigued to see how it turns out. Molson Canadian Cider pours a clear golden straw yellow, just like your standard Molson Canadian, or apple juice. There’s a decent amount of carbonation taking place giving it a bit of light foam on top. The aroma of the cider is quite strong, I get a big whiff of various Canadian grown apples like McIntosh or Granny Smith, it’s sweet, it’s aromatic and has a light tart aroma in the background. It also has a bit of a sparkling champagne zest as it slowly warms up. The flavour is surprisingly mellow with nice sweet apples coming off top here. There’s a hint of tartiness to give it a bit of bite, but all in all: Molson Canadian Cider is very easy to drink, not overly bitter or tart, has a great homemade apple juice flavour to it that I like. Sweet, goes well on the patio and since it’s not as bitter as some European ciders available locally - it’s very easy on the palate. What’s new at the LC? Amsterdam Fracture Imperial IPA - An intensely bitter, hoppy Imperial IPA with notes of grapefruit and pine. A whopping 9% ABV and $3.25 per 355mL bottle at Liquor Marts in Brandon. Cannery Anarchist Amber Ale - My favourite brewery from the Okanagan is now back in Manitoba after a three year hiatus. Cannery’s Anarchist Amber Ale is a full bodied amber ale with notes of sweet caramel and lightly roasted barley. $6.25 per 650mL bottle at Liquor Marts in Brandon. Tree Captivator Doppelbock - Another treat from the Okanagan. This is a sweet, caramelly, dark fruity beer. 8% ABV and $5.06 per 650mL bottle at Liquormarts in Brandon. Unibroue Éphémère Poire (Pear) - Coming soon to Brandon LCs, a pear flavoured wheat ale that will be a thirst quencher on hot summer afternoons. 5.5% ABV and $5.70 per 750mL bottle.